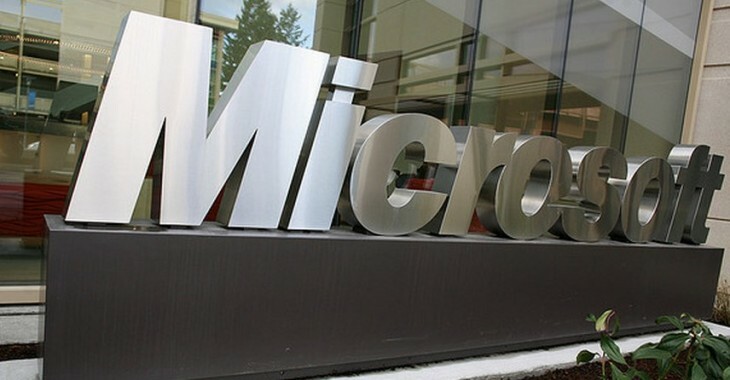 It was a light week of Microsoft news, as Google dominated the headlines with its impressive, and long-running I/O event that saw it update and refine its host of software products. That said, Microsoft didn’t stop moving to make room for its competitor. Before we dive into the thick of it, ensure that you are following TNW’s Microsoft channel on both Twitter and Facebook. Let’s go. This week marks the start of the slow decline of the moniker ‘Blue.’ It’s been fun, but Microsoft confirmed that Windows Blue will in fact be known to the world as Windows 8.1. Also out this week was the news that Windows 8.1 will be free, and distributed through the Windows Store. That Windows 8.1 will come at now cost is not a surprise. It would have been a relations nightmare if Microsoft had tried to sell a new set of code to folks that had purchased Windows 8 itself less than a year before; that and Microsoft wants to improve the Windows 8 experience for all its users, and this is the only way that it has a chance to do so. Distribution through the Windows Store is neat, but again not a surprise; Microsoft wants its users to spend more time in the digital marketplace, and this is a way to bring stragglers and holders-back into the fold, at least once. Also, eating your own oats sets good precedent for the developers that are depending on Microsoft to expand and grow the Store. Arguably the biggest new feature is the new photos timeline view. The main idea here is to give you a way to see all your SkyDrive photos across all your albums and folders based on when they were taken. There’s also a new filmstrip view, which lets you breeze through photos in a slide show. Last but not least, the thumbnails view has been tweaked. Microsoft has also introduced new thumbnails for PowerPoint and Word files. SkyDrive has more than 250 million users. That number will rise as Windows 8 usage rises. Forget the television show, the storage wars are real. The Lumia 925 will ship with a different build of Windows Phone 8. The new version will sport a few new features that Microsoft calls “small,” though they are in fact large enough to warrant notice. [The update] will contain support for Google’s sync protocols CalDAV and CarddDAV. This means that if you use a Windows Phone handset, you can keep using your full suite of Google mail, calendar, and contact services. If you were worried about your handset’s relationship with Google services taking a hit, well, this is good news. This week Microsoft brought Google Talk to Outlook.com. A small change, but one that lowers barriers to switching. Outlook.com now has more than 400 million active users. Gmail is more popular than Outlook.com, but Microsoft’s rebuilt email service has been the company reverse a long decline in the product category. Outlook.com recently received a massive influx of users from the now defunct Hotmail service. Outlook.com has thus burned its chief steroid. Now, growth on the platform will only come organically.